To celebrate my birthday last June, I held a "Who's-that-Pinky Name Challenge" with prizes that included a Pinky Street doll and 2 boxes of Orcara miniatures. 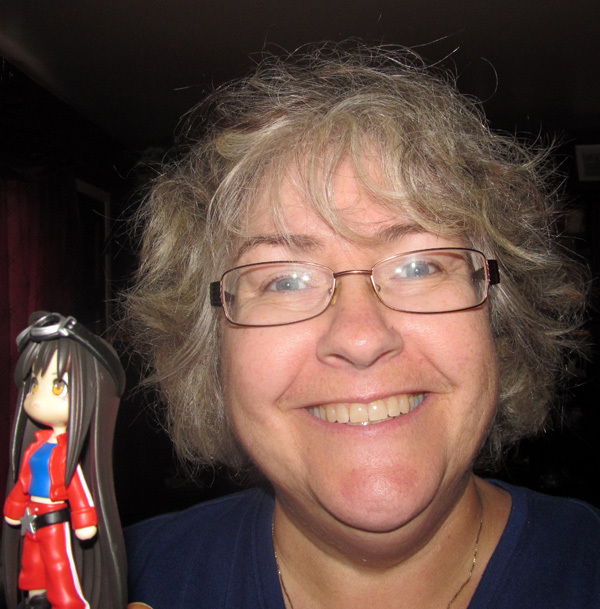 Today, I'd like to share a photo of that blog challenge winner, Ruth. 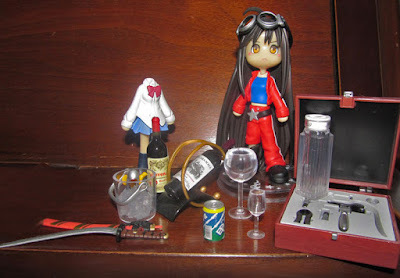 She is now the proud owner of her first Pinky Street doll figure renamed Sameera, or Sam for short, and wine miniatures that she plans to incorporate into a cabinet she's been working on. Thank you Ruth for sending these photos and for christening one of my dolls with a cute name! Also, a big thanks again to everyone who joined the name challenge! Let's do this again soon!